Rent tandem bikes. Key West is the perfect place for biking tandem style! We have tandems bikes for rent, cruisers, and many more. Tandems are $30 a day until close or... $40 from 9am until close the next day. Multiple day rentals $20 daily. All tandem rental bikes in Key West are one speeds with coaster pedal brakes. 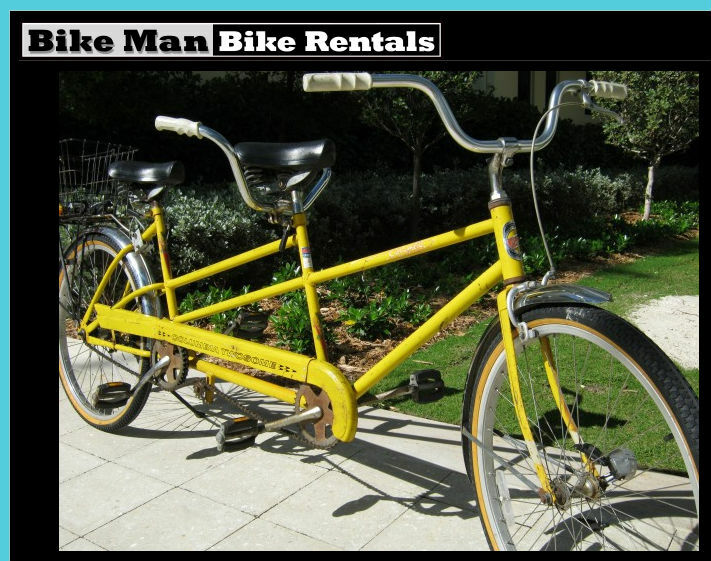 Tandem bicycle rental in Key West, fun for two people to ride together! Key West bicycles are available for rent at our multiple convenient Bikeman locations! Long time established company of bicycle rentals in Key West Florida at top resorts, group and multi day discounts.